Last Updated: February 16, 2018 | Subscribe to our weekly newsletter! If you love the idea of relaxing in your own spa, but you don’t want something as permanent as a standard hot tub, an inflatable hot tub is the perfect solution. You can set one up almost anywhere flat with a nearby outlet, even indoors or at your campsite. Inflatable spas don’t have all the same features as standard spas. While they do deliver hot, bubbly water, most don’t have water jets, and they can’t transport you back to the 1980s. Learn exactly what you’re signing up for before you break out your air pump. 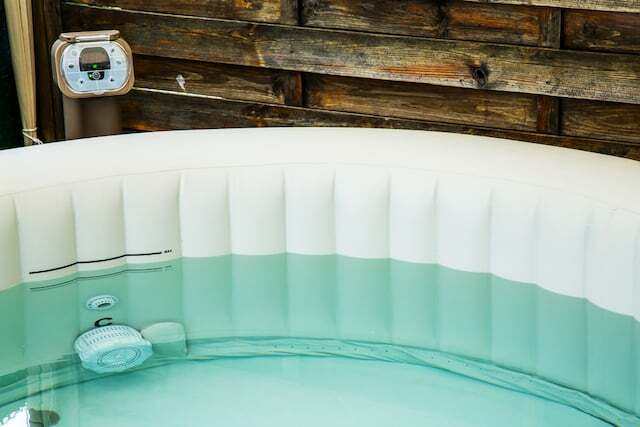 If you’re a renter with a sad, empty patio, someone with a finished garage that needs some excitement, or you just want the ability to soak in a hot tub without breaking the bank, you might want to buy an inflatable hot tub. They provide essentially the same experience as a standard spa, without requiring permanent changes to your home or property. You should be able to find one for less than $1,000. They’re even easy enough to set up that you’ll probably be able to do it on your own, as long as you can carry the hot tub when it’s deflated. Portable spas are made from thick vinyl rather than the hard acrylic most standard spas are made from. You also won’t find the same laundry list of bells and whistles on inflatable hot tubs that you will with premium spas, but a few things are worth close comparison before you buy. 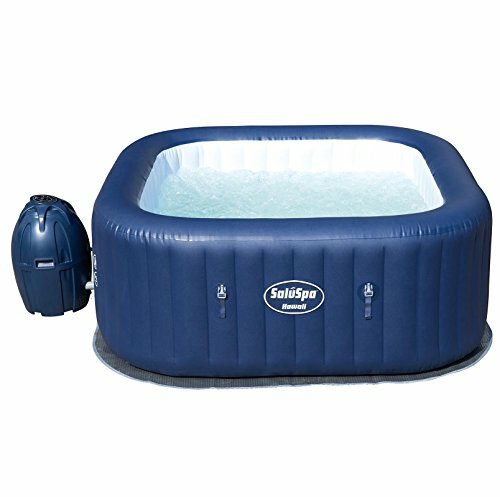 Inflatable hot tubs are available in two-, four-, or six-person capacities. However, they’re typically a tight fit. If you want some wiggle room for bathers (and you have room in your budget), consider sizing up. Portable spas have simple digital control panels with a basic LED display and a few buttons to adjust settings such as temperature, jets on and off, and a timer for the heater. 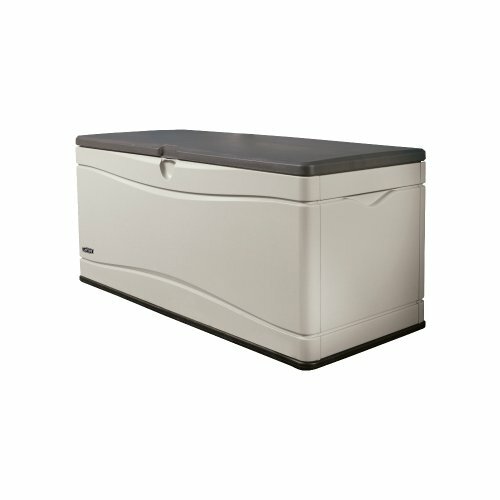 When you’re shopping around, remember to check whether the control panel is accessible from within your hot tub. Nobody wants to get out and walk over the pump just to turn the heat back on, but some inflatable spas require you to do just that. This is an additional feature of the filtration system in some inflatable spas. It can help to prevent or at least minimize calcium deposits and buildup in your hot tub. However, it is not a replacement for proper maintaining proper water chemistry. Of course, you can’t have a hot tub without heat. How hot should a hot tube be? In this, traditional and portable spas follow the same standard. The maximum safe temperature for either is 104°F (40°C). This is based on a recommendation from the Consumer Product Safety Commission (CPSC) about accidental drownings and heat stroke in too-hot spa water. Most bathers prefer to keep the temperature between 100°F and 102°F (37°C – 39°C), so as long as your heater can do that, you’ll be all set. One important thing to take into account with maintaining your inflatable hot tub is how to get your water up to the desired temperature and keep it that way. Keeping it covered when not in use and, if it’s outside, using outdoor elements such as privacy screens or shrubs will help reduce evaporation and cooling of your spa water so the heater doesn’t need to work so hard. You can also expect your inflatable hot tub to take between 12 and 24 hours (at a rate of one to three degrees per hour) to heat water fully before your first use. This is one of the most important and hard working components in your inflatable hot tub setup. The pump is what circulates the water, and it has a built-in air blower to inflate your hot tub and power the jets. The pump and heater are typically housed in one container, which is enclosed to avoid exposing electrical components to water. Most inflatable hot tubs place the control panel on top of the pump enclosure. Typically, they have a 120-volt cord with a built-in ground fault circuit interrupter (GFCI) to prevent electric shocks. This allows you to plug into any indoor or outdoor outlet. Because of the power draw, you’ll probably want to be sure it’s the only thing on the assigned breaker so the breaker doesn’t flip while you’re enjoying your spa. Nearly all portable spas are round, but you’ll also find a few square models on the market. While it may not be a deal-breaking feature, you may find that square models and the two-person rowboat style hot tubs have a little more leg room for bathers. Of course, the space also depends on how many bathers you have in the spa at one time. When you buy an inflatable hot tub, it will come with its own cover. Some even come with two or three types of covers. Depending on the spa model you choose, the cover may be leather, inflatable and insulated, a thermal blanket, or a combination cover that has an inflatable interior so you have just one cover to retain heat and close your hot tub. The quality of these covers runs the gamut as well. The good news is that you won’t have to run out and buy a cover right away, especially if you won’t be keeping your spa up and running long term. The even better news is you can purchase aftermarket hot tub covers for inflatable hot tubs, so upgrading is easy. With the rare exception, inflatable hot tubs usually have 100 to 200 air jets. Standard spas have jets that shoot strong streams of water out, sometimes combined with air jets. If water jets are an absolute must-have for you, pay careful attention to this feature. One brand of inflatable hot tub boasts four water jets. This is far fewer than a standard hot tub because of the difference in power, but they do provide a different experience than air-only jets. Whichever inflatable spa you choose, it should come with a sheet to lay on the surface where you’ll be setting up your spa. This adds a bit of extra protection for the bottom of the hot tub from debris, temperature changes, and other potentially damaging circumstances. You may also buy a hot tub pad, which is a hard plastic, solid platform you can place just about anywhere to create a sturdy, level surface for your hot tub. Nothing in life is perfect. As great as it can be, you will want to consider a few downsides to buying, setting up, and maintaining your inflatable hot tub. You’ll be happy to know, though, there really aren’t that many. The loudest sound you’ll hear is the air when setting up your inflatable hot tub. The air blower built into the pump and heater enclosure is used with a special, accompanying hose to inflate the whole spa. Once you’re up and running, you’ll notice pretty quickly that turning on the bubbles is pretty noisy as well. If you set up your inflatable hot tub indoors or in a small, enclosed space, it may amplify the sound. Overall, most inflatable spas aren’t so loud as to be intolerable, but do expect a bit of noise, especially during setup. If this is your first time buying an inflatable hot tub, you might be surprised to learn that there are no seats inside like a standard spa. In fact, they’re designed with a padded floor, so bathers will sit on the bottom. For a child or short adult, the water level may be too high to sit comfortably, leaving them awkwardly standing in thigh-deep water, or kneeling. Some inflatable hot tubs feature I-beams to reinforce the structure, allowing you and your guests to sit on the sides of the tub without causing damage or leaks. You may also purchase seats or extra padding to place on the bottom of the spa, if you wish. You would expect a large purchase like a spa to come with at least a one-year warranty for defects, especially the pump and mechanical parts, but in this case, you’d be wrong. Very few models offer a full year warranty. Some inflatable hot tubs only have 30-day, partial warranties. Such a short warranty could mean you haven’t even used your spa once before time runs out to contact the manufacturer about any issues. Because the shorter warranties are so common, be sure to read the fine print on your spa. Get it set up and test it out before your warranty expires. 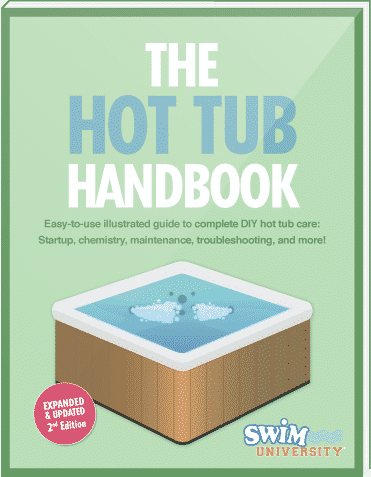 Maintaining an inflatable hot tub is actually pretty simple, and taking care of the filter is no exception. All you need to do to keep the filters in good shape is remove and rinse them thoroughly with your hose every few days. However, unlike standard spa filters, which can last a couple of years, the filters for inflatable spas must be replaced every two weeks or so depending on how much you’re using your hot tub. Another drawback to certain models of inflatable hot tubs is the location of the filter or filters. While many models place the filter right inside the heater/pump unit for quick access, some models place the filters along the bottom inner portion of the spa, so changing them becomes a much more involved process than just opening the pump unit and popping in a new filter. The pump and heater that come with your inflatable hot tub aren’t designed to run both the bubbles and heat at the same time. This means if you use it during the winter months, you’re going to get cold, fast. If you’re a fan of DIY solutions, you can solve this problem by building your own propane water heater that will run separately from your pump. Before using your spa in winter, check the temperature rating for your pump and heater. Most are only safe to use in temperatures above 40°F (4°C). Portable spas can look a little blah. They don’t have fancy wood cabinets, sound systems, or built-in lights. That doesn’t mean you can’t do anything to make them a little more comfortable and attractive, though. 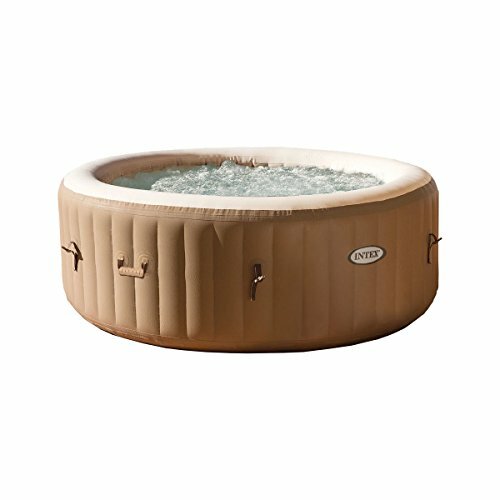 A few aftermarket accessories can spruce up your inflatable hot tub, and make it seem like a more luxurious traditional spa. 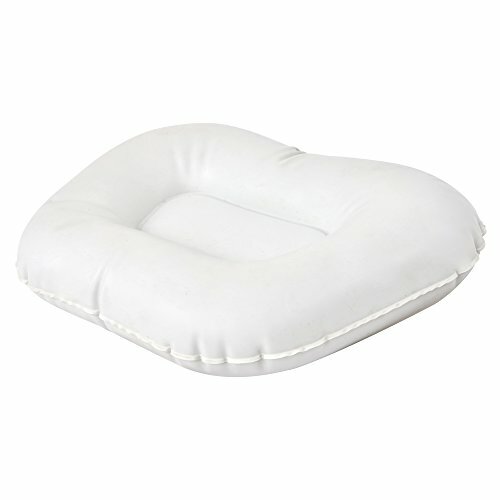 Hard, plastic seats can be placed in the bottom of your inflatable tub, but they may not be comfortable. You can also consider seat cushions that give a bit of a height boost, and are soft to sit on. These would be especially useful if you’ll have shorter bathers using your hot tub regularly. Depending on how tall you are, you may not notice the lack of headrests on your portable spa. 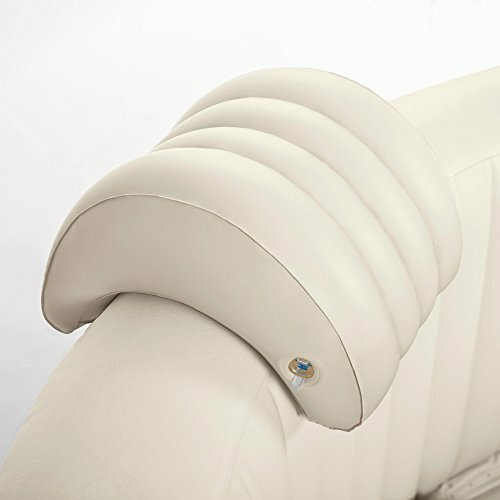 However, if you need a little extra neck support, you can buy vinyl headrests. You fill them with a mix of air and water, and the weight helps hold them in place on the top edge of your hot tub. You can easily lift them and rearrange them as needed. Despite a lack of built-in cup holders in your inflatable hot tub, you can still add a convenient place for some drinks or a snack. 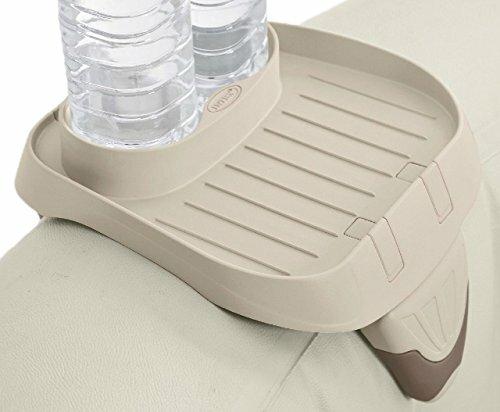 You’ll find a few types of cup holders and trays that attach to the top of your hot tub, keeping your cold ones at arms reach. 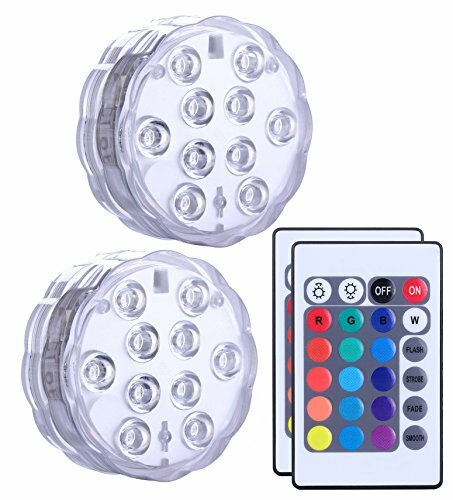 You can buy battery-operated, fully submersible LED lights to add some light and color to your inflatable spa. Lights come in variety of shapes, sizes, and colors. Some are even remote operated, allowing you to choose light color, intensity, and mode. The same trimmable solar blankets you can buy for your pool or standard hot tub will work on your inflatable spa to help prevent heat and chemical loss. Just trim it to the proper size so it can float on top of the water in your spa. It can also help keep bugs and other debris out of the water. Keeping the water in your spa clean and safe for bathers is more important than any other consideration. It can be tricky, especially in just a couple hundred gallons of heated water, to keep bacteria and contaminants at bay. Properly maintaining your inflatable spa also means making sure your hot tub chemistry is always balanced. Fortunately, you can use the same test strips and chemicals in your inflatable spa that you use in a permanent hot tub. It is vital to follow the manufacturer’s recommendations regarding sanitizers. Some inflatable hot tub manuals warn against using chlorine tablets, while some spas actually include a floating chlorinator for use with tablets. Still other inflatable spas offer salt water sanitizing systems. Without belaboring the importance of maintaining proper water chemistry, be aware that using your spa without the correct sanitizer levels opens you and other bathers up to several health issues that vary in severity from rashes, such as hot tub folliculitis, to the potentially life-threatening Legionella bacteria that causes Legionnaires’ disease. 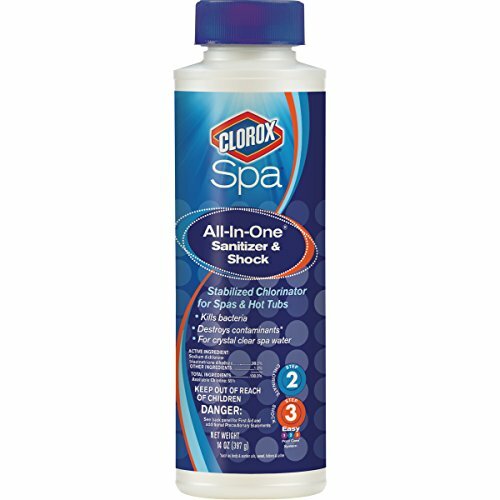 It may be tempting to forgo chemicals, especially if you only intend to use your portable spa for a few days, such as during a camping trip, but we highly recommend against this. Even if you’ll only be using your spa for a short time, be sure to add the appropriate amount of sanitizer to keep everyone safe and healthy. You ready to start kicking back and relaxing in your hot, bubbly spa? Well, you’ve got to set it up first, but don’t worry. You’ll be able to hop in by tomorrow. First step, choose where to place your spa. You must be sure that wherever you intend to put your inflatable hot tub, indoors or outside, is strong enough to support its weight. This means you probably shouldn’t set it up on your wooden deck, but a flat spot in your yard or a concrete patio would work well. The carry weights of empty inflatable spas are typically between 65 and 100 pounds. Some have handles to make carrying easier. The heavy models are usually styles intended for longer term use and more bathers. The filled weight, however, can be as high as 2,000 to 3,500 pounds when you account for water and bathers. If it’s not somewhere you would park your car, you probably shouldn’t set up your inflatable hot tub there. One more consideration in choosing where your inflatable hot tub should be set up is whether you intend to use it during winter and how cold that season is where you live. Most inflatable spas are rated to work properly above 40°F (4°C), but temperatures below that can cause problems for your pump and water heater. If you want to use your spa during winter, consider sheltering it from the weather. You could set it up in your garage, add an enclosure around it, or add some extra insulation around it. You can even add a layer of insulation on the ground, under the protective blanket before you set up the spa. The steps for setting up your inflatable hot tub may vary a little depending on the model you choose to buy, whether you’re setting it up indoors or outside, and whether you’re starting with a level surface. But the same basic steps will apply. Be sure your location is close enough to an outlet to plug in the spa without being so close that it could get splashed. Also ensure there is room around the spa for splashout and drainage. Ensure any closed area has ventilation so humidity can escape without causing damage. Clean the area where you’re setting up your hot tub. Be sure there are no sharp objects or debris that could get stuck under it and make for an uncomfortable soak. Open the container, remove all the contents, locate the protective ground blanket, and spread it out on the location you’ve chosen. Assemble the pump and heater unit. Spread out the hot tub on top of the ground cloth, then use the included hose and pump to inflate your spa. Install the control panel, if it’s separate from the pump unit. Put all the air filters in place, then ensure your drain is closed. Fill the hot tub with water. Add sanitizer and balance the water chemistry. Put the cover on your spa, then turn on the heater. Your water should be up to ideal temperature in 12 to 24 hours. Enjoy a nice, long soak! Look into your state’s safety laws and guidelines that may apply to using an inflatable hot tub. Your local code enforcement office can tell you where to find laws that apply to your situation. Even if you don’t have any local safety laws to abide by, consider following the CPSC’s recommendations regarding portable, above ground pools for keeping everyone safe around your inflatable hot tub. Their suggestions, such as notifying your neighbors that you bought an inflatable spa, could save a life. Set-Up Tip: If you’re in a big hurry to use your hot tub, you can purchase an attachment to hook your fill hose up to the hot water in your house. Keep in mind that most household water heaters are set to 120°F (49°C) or more, which is 16 degrees hotter than the maximum temperature your spa water should be. Start filling your spa with your hose outdoors, then finish off about the final third with hot water from your house. This will shorten the amount of time your heater will require to get the spa up to temp without putting yourself or your spa materials in danger from too-hot water. Maintaining your inflatable hot tub is actually pretty simple, as long as you don’t let it go a long while without care. You’ll want to skim the water frequently because the filtration system on a portable spa isn’t as robust as the one on a permanent hot tub, so, especially if you haven’t been using a hot tub cover. Filters for these systems are also not as robust as those for permanent hot tubs. Remember to remove your filters and rinse with clean water every two or three days. Even then, they’ll only last a few weeks with regular use. When they become hardened or discolored, and cannot be cleaned well with fresh water, they must be replaced. Don’t be tempted to use cleaning products or detergents to clean your filter. This can cause foam in your spa, as well as gunk up the filter media making your pump work harder. Every one to three months, you’ll need to drain and clean your hot tub. The more bathers and use it has, the more frequently you’ll need to change the water. Not sure when it’s time to change the water? Out-of-control water chemistry, cloudiness that doesn’t resolve when chemicals are balanced and the filter is clean, and foaming are all signs that you need to drain and refill your inflatable hot tub. To empty it, you’ll attach a hose to your hot tub drain valve and let the water run out. Expect this to take a little time. Remember to only drain the water into a sanitary sewer, never a storm drain or natural body of water, such as a creek. The chemicals and contaminants in your spa water can kill plants and fish, and can get into the drinking water supply. After draining your spa, wash the inside of it with a mild soap, warm water, and a sponge. Avoid abrasive tools or cleaners, such as powder cleansers or steel wool. Rinse away the soap thoroughly to avoid foaming when you refill your spa. 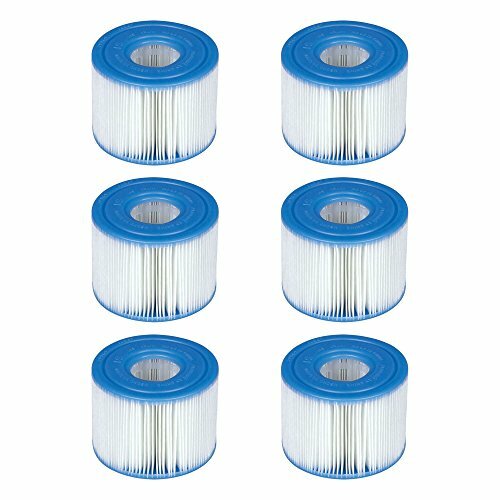 If your filters are in the floor of your spa, now is the time to take them out and clean them, or replace them with new filters. If you’ve sprung a leak, pat dry the damaged area. Get out the patch kit that came with your inflatable spa. 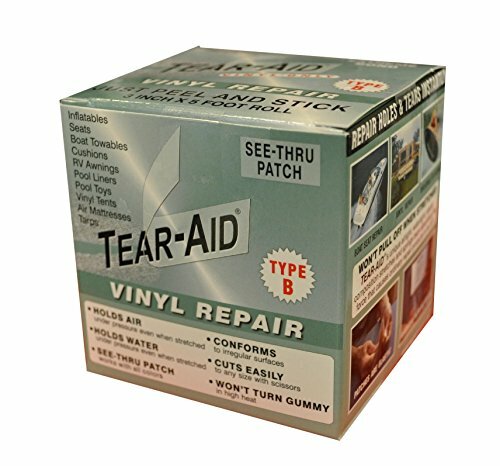 If you lost it, you can get vinyl pool and hot tub patches online or from your pool supply store. Apply the patch per the accompanying instructions. If you’re draining and cleaning your spa to pack it up for storage, be sure to dry it completely before folding it up. When it’s completely dry, store it in its original box or another sealed container. Be sure to store it somewhere dry, out of direct sunlight, and away from pests. Some portable spas come with a carrying bag or case. These are great for helping you get your hot tub from Point A to Point B, but they’re not the best protection for long-term storage. If you intend to put your spa away for a while, it’s best to place it in a sealed container to maintain the integrity of the vinyl while it’s in storage. When you buy something like a hot tub, you sometimes find out that setup or maintenance is way more than you bargained for. Now you can rest assured that setting up and maintaining an inflatable hot tub really isn’t all that complicated. But if you’re still looking for a way to time travel, we have some good news—just soak in your inflatable hot tub for a while, and when you get out, you’ll be in the future.